Chefman Panini Press Grill Just $20! Down From $60! You are here: Home / Great Deals / Amazon Deals / Chefman Panini Press Grill Just $20! Down From $60! Amazon has this Chefman Panini Press Grill on sale for just $20 down from $59.99 PLUS FREE shipping with Amazon Prime or for orders $25 or more! The Chefman 180 Grill + Panini Press is designed like professional units. 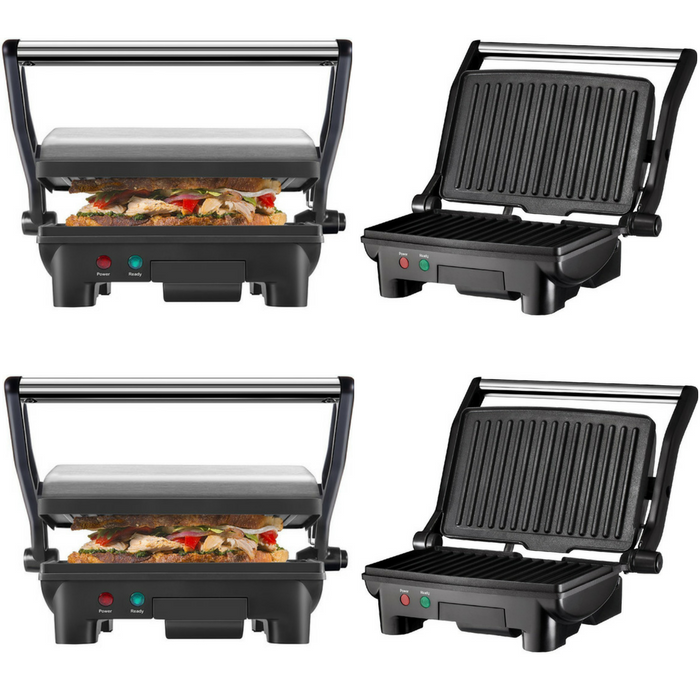 Its floating hinge adjusts to accommodate any thickness for perfectly grilled thin or thick panini’s and sandwiches, while the lay-flat grill is also perfect for grilling meats, vegetables and fish (to lay flat, just push the button on the side). With a cooking surface of 5.5” x 8.75” this press is ideal for making two sandwiches or paninis, while lay-flat surface of 10” x 8.75” can accommodate a variety of food. The Chefman 180 Grill + Panini Press makes quick meals and is easy to clean. The grill-surfaces are coated with an easy-to-clean nonstick surface, and the grill is equipped with a dishwasher-safe drip tray. This unit is perfect for making breakfast, lunch, dinner and more!.